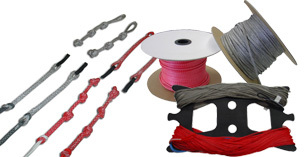 We have a huge variety of Kiteboarding accessories and repair supplies. This includes all Crazyfly kiteboarding gear, Sensei, GoJoes, Oceanus Reel Leashes, PKS accessories, Onda Skateboards, Dakine, Hitchsafe, and more. We have anything you need for Kite Repairs from valves and bladders to lines, pulleys, tape, glue, and other tools to do any Do-It-Yourself repair possible. We also do CUSTOM lines, extensions, pigtails, leader lines, and more. Products from FixMyKite.com and Kitefix, plus many PKS accessories. PKS Line items include Fly Lines, Leader Line, Pigtails, pulleys, chicken loop rope, etc. Crazyfly and Dakine bags for all your travel needs. Golf bags with and without wheels, single board bags for twintips and surfboards, kite compression bags, Airline travel bags, coolers, and more. If you need a kite bag or otherwise, we are your source. Camera Mounts for GoPro and many other cameras from the hottest Action Sports mount brands around like Flymount, WizMount, SKORD, and PKS. Mount cameras on you lines with a line mount or on your kite with a strut mount. On your board with a fin mount. Weather instruments of all levels including many types of hand-held, mountable, and iPhone/Android windmeters, as well as advanced instruments like flowmeters, porosimeters, speedometers, wind warning systems, air warning systems, and more. 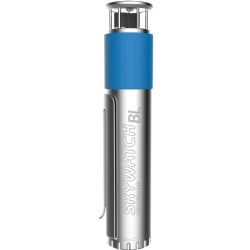 Weather instruments by JDC Electronics (Skywatch), WeatherFlow, and Hall Brothers. PKS Distribution brings you the Onds Longa Long board skate board. Perfect for landboarding and learning to kiteboard. Paired with a trainer kite, the Onda Longa Longboard is perfect for parking lot fun. 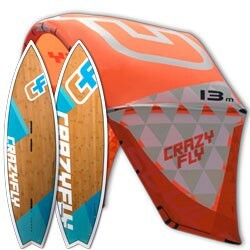 Crazyfly kiteboards means "Quality you can trust," and right now the highest quality 2014, 2013, and 2012 boards and 2014 kites are on sale while supplies last. 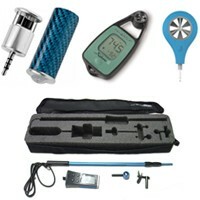 This category has ALL accessory products for a vast overview of what PKS Distribution carries. It may be easier to find something in the subcategories above, though.